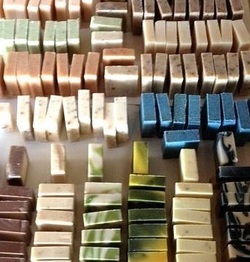 Treat yourself to the very best, all natural, handcrafted soaps. Winnipesaukee Soap Company bars contain no preservatives, no petroleum products, and no parabens. Natural ingredients give you soft, smooth, and wonderfully scented skin. Once you try Winnipesaukee Soap Company artisan soap you won't want to go back to using commercial soaps that are filled with ingredients difficult to pronounce and unhealthy for your body. Think of our soap as a vacation in paradise for your skin!